With updates from Epson and HP in the large format printer lines, it's not surprising that Canon has come out with updates to their ImagePROGRAF line of printers in the 24" and 44" sizes. 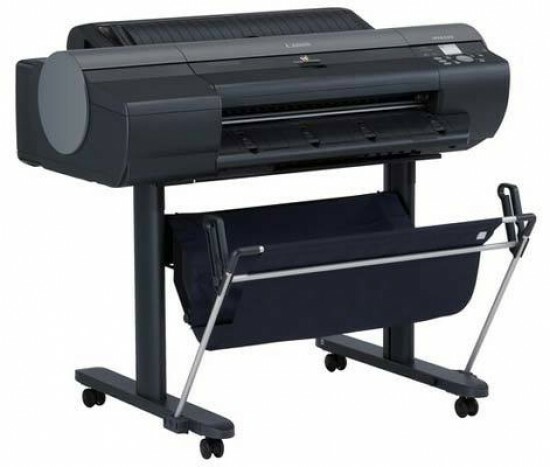 The 44" 8300, and 24" 6300 and 6350 (the later includes a hard drive) are identical in functionality, differing in paper and ink capacities - the 8300 also includes a hard drive, more on that later. I've been lucky enough to use all three printers now - the new Canon iPF6300, the Epson 7900, and the HP Z3200, as well as the older Canon 6100 model that is replaced with the new 6300. While outwardly the printer looks like the 6100 it replaces, there are a number of changes under the covers that make this a solid upgrade. 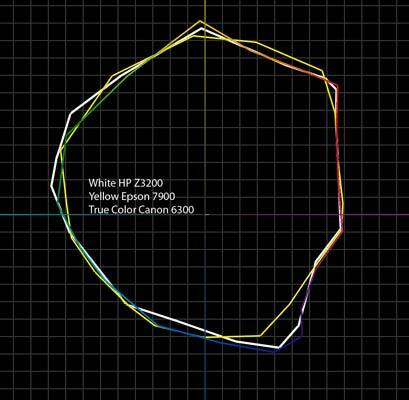 The Canon line uses a 12 color pigment ink set that has been completely revamped for the x300 series. The Lucia EX as it's known, uses much small pigment particles along with better polymer encapsulation. The end result of this is a gamut increase of approximately 20% over the previous Lucia inkset. The smaller particles reduces reflective scattering increases saturation while the improvements to encapsulation improves ink adhesion that lowers bleed, especially on fine art papers, and improves scratch resistance, something that has been a problem with inkjet prints in general. Along with these improvements, Canon has also reduced bronzing and gloss differential to the point of being virtually unnoticeable on any of the media I printed to. Along with new inks, Canon has added new printheads to the x300 line. I experienced no clogging or quality issues with the new heads (although I should note that I had no problems with the previous heads found in the 6100). Like HP, Canon uses replaceable printheads. The new heads, of which there are two, cost $450 each should they need to be replaced, a reduction in price from the previous model. Setup of the Canon iPF6300 is straightforward, and relatively quick. While the outward appearance of the printer is the same, the stand is more rigid than the previous model, making the printer more stable when printing. Canon provides a set of 90ml ink cartridges to start with (the standard cartridges for the 6300 are 130ml) and a small roll of paper to be used with calibration. 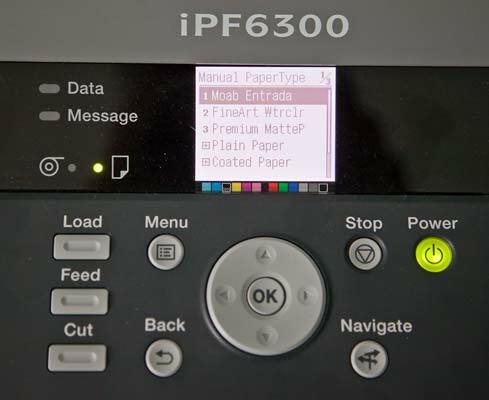 Like the previous model, the iPF6300 sips ink, so these starter cartridges will give you quite a bit of printing before you need to worry about replacements. While large prints are an obvious reason to buy one of these printers, the learning curve compared to a desktop printer can be intimidating. In the past Canon has been tailing the other makers when it comes to ease of use. Paper types aren't always obvious, and the control panel on the printer is the least intuitive of the three brands. With the x300 line, Canon has made great strides in the user interface with a much better button layout and improved help screens on the LCD display. Epson has a beautiful color display on the x900, and provides more info in an easier layout, and the HP dialog and screen is larger with more intuitive navigation, but the Canon interface is now very useable and should cause no issues for first time users. One area that Canon does excel in is their printing interface. 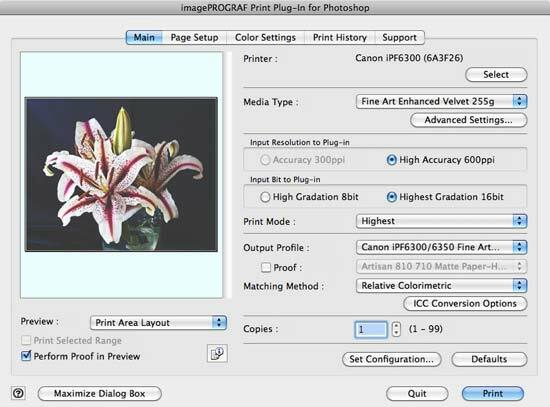 With the imagePROGRAF Print Plug-in for Photoshop you can handle all the printing settings from within one dialog box. This plug-in, although not listed for CS5, worked fine with that version of Photoshop. 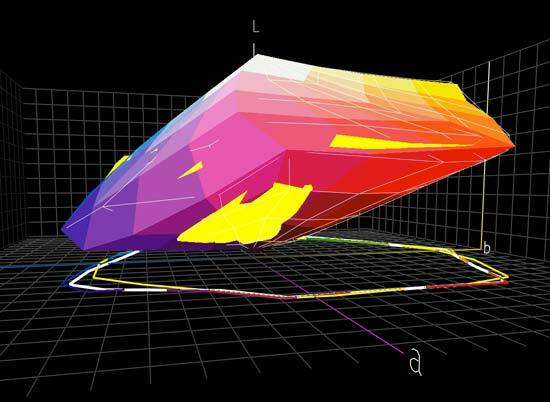 There is also a version of the plug-in for use with Canon's Digital Photo Pro software. Windows users will also get PosterArtist Light and plug-ins for Microsoft Office applications. 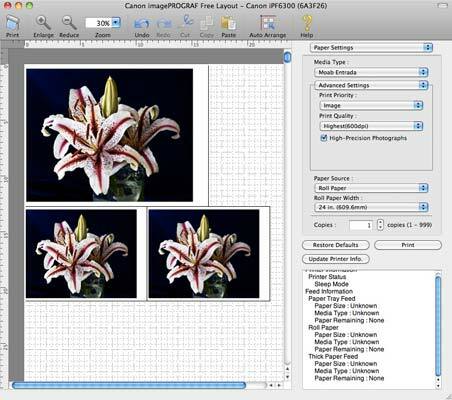 Canon also includes a layout utility, accessed from the Printer Setup dialog that makes it easy to print multiple copies of images on a single sheet, as well as resizing and auto placement of the images.